I'm game: anyone care to join me? I plan to start when I get back to London in 2 days. 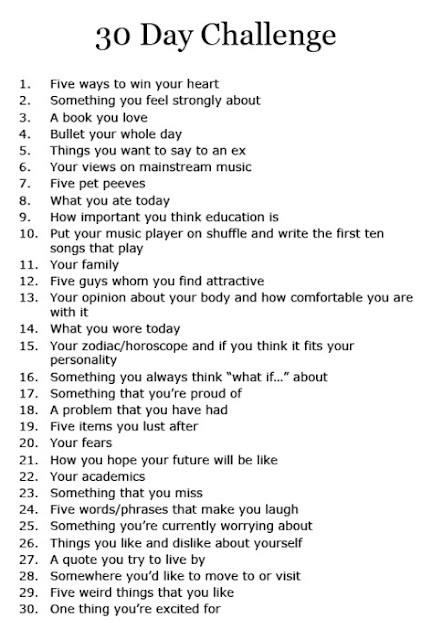 I'll add the image to this page as well so you can see what you're meant to write each day. And thanks a million for the supportive and uplifting comments you left on the 'Good, Bad & Ugly' post. I was weak, but I felt strengthened. On with the show eh? Thanks to Toshia from On The Road to Queendom for switching me on to this.I'd love to see the whole thing. How am I doing on a personal level? Well..., lately I have been a bit down in the mouth. I have been following your hair journeys and rejoicing with you over your new hair colours (Gigglz is rocking that honey blonde), repairs/restoration (Yahvinah's edges are filling in after her postpartum shedding), and your growth updates (too many to list) - and I must admit I've been missing own hair TERRIBLY. And, while I am grateful for the growth in those places, it's 'a madness' cos really I'd rather have all or nothing. Seriously... cos you can't walk around with scrubby patches and if you shave the patches off too often you get razor bumps... eugh! I promised Euphoria I'd post some pics and I will... in the NEXT post (honest hehhe). One time I forgot to put on my hat/wig before answering the door and the plumber's eyes almost fell out of his head... after picking his jaw up off the floor he recovered rather well: "Well, it's a good thing you're pretty" he said, "Cos it would be absolutely awful if you were bald AND ugly!" Gotta admire some people's honesty! LOL. Starting Length: 14 inches of thick curly hair. See how it still looks erm.. 'frizzy' at the root despite being freshly installed? That's all down to hair texture - we definitely could not make any more rotations, the loc was tight all the way to the root but it LOOKS loose. Client Number 3 started with 3-4 inches of tightly coiled hair. Client Number 4 had 9 inches of very fine hair with a looser wavier curl pattern. Client Number 5 started with 6 inches of coily springy hair. My card reader is broken so I only have these two for ya - sorry. (NB not hating on other types of locs before someone tries to bawl me out in the comments section. I love locs period. I'm just saying that I really love teeny tiny locs). I'm a marketing professional, freelance sports writer and fitness enthusiast. I was born in London but spent a large part of my life in America - California and Georgia. I currently reside in South East London. I went natural towards the end of 1999 after a break up. When I was going out with said individual he was adamant that locks were ugly so I took a strange pleasure in cutting my perm completely out and wearing my hair natural. 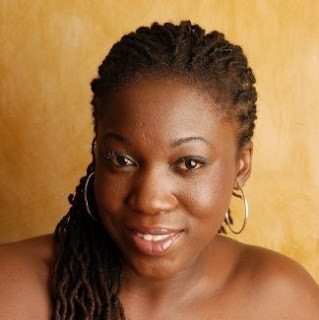 I wore my hair very short for about a year or so before experimenting with twists and then decided to 'locks up' around April 2001. This article really explains all types of alopecia (pattern hair loss) in an easy to understand format. 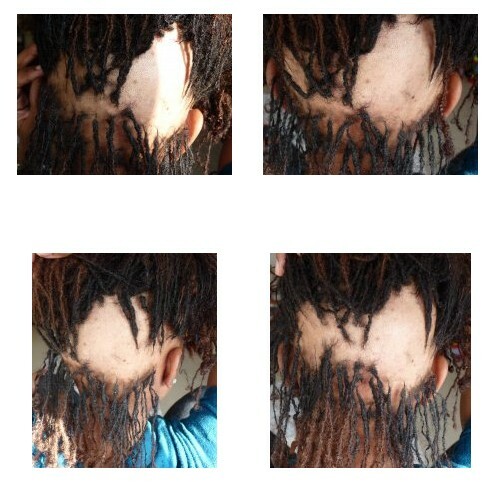 I started with alopecia areata and telogen effluvium then moved into the (not so pleasant and more widespread realm of alopecia totalis which is where - instead of one or two dime shaped patches - you have widespread or complete hairloss from your scalp and extending to other areas of your body. I hope you find it informative. Am Fam Physician. 2003 Mar 1;67(5):1007-1014. Alopecia can be divided into disorders in which the hair follicle is normal but the cycling of hair growth is abnormal and disorders in which the hair follicle is damaged. 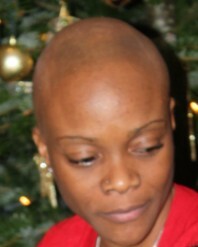 Androgenetic alopecia is the most common cause of hair loss in women. Other disorders include alopecia areata, telogen effluvium, cicatricial alopecia, and traumatic alopecias. The diagnosis is usually based on a thorough history and a focused physical examination. In some patients, selected laboratory tests or punch biopsy may be necessary. Topically administered minoxidil is labeled for the treatment of androgenetic alopecia in women. Corticosteroids and other agents are typically used in women with alopecia areata. Telogen effluvium is often a self-limited disorder. 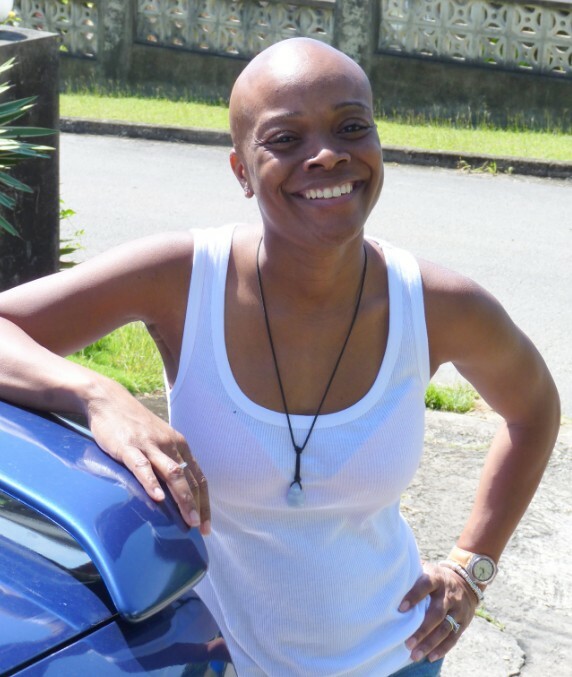 Because alopecia can be devastating to women, management should include an assessment for psychologic effects. Every hair follicle continually goes through three phases: anagen (growth), catagen (involution, or a brief transition between growth and resting), and telogen (resting).3 Disorders of alopecia can be divided into those in which the hair follicle is normal but the cycling of hair growth is abnormal (e.g., telogen effluvium) and those in which the hair follicle is damaged (e.g., cicatricial alopecia). A careful history often suggests the underlying cause of alopecia. Crucial factors include the duration and pattern of hair loss, whether the hair is broken or shed at the roots, and whether shedding or thinning has increased. The patient's diet, medications, present and past medical conditions, and family history of alopecia are other important factors. Adapted with permission from Healey PM, Jacobson EJ. Common medical diagnoses: an algorithmic approach. 3d ed. Philadelphia: Saunders, 2000:208–11, with additional information from Drake LA, Dinehart SM, Farmer ER, Goltz RW, Graham GF, Hordinsky MK, et al. Guidelines of care for androgenetic alopecia. American Academy of Dermatology. J Am Acad Dermatol 1996;35(3 pt 1):465–9. Androgenetic alopecia, or hair loss mediated by the presence of the androgen dihydrotestosterone, is the most common form of alopecia in men and women. Almost all persons have some degree of androgenetic alopecia.7 The hair loss usually begins between the ages of 12 and 40 years and is frequently insufficient to be noticed. However, visible hair loss occurs in approximately one half of all persons by the age of 50 years8 (Figure 2). In women, hairstyling may mask early hair loss. Hair follicles contain androgen receptors. In the presence of androgens, genes that shorten the anagen phase are activated, and hair follicles shrink or become miniaturized. With successive anagen cycles, the follicles become smaller (leading to shorter, finer hair), and nonpigmented vellus hairs replace pigmented terminal hairs. In women, the thinning is diffuse, but more marked in the frontal and parietal regions. Even persons with severe androgenetic alopecia almost always have a thin fringe of hair frontally. The remaining hair configuration may resemble a monk's haircut. The currently preferred treatment for androgenetic alopecia is topically administered 2 percent minoxidil.6,8,9 Minoxidil appears to affect the hair follicle in three ways: it increases the length of time follicles spend in anagen, it “wakes up” follicles that are in catagen, and it enlarges the actual follicles. The mechanism by which minoxidil effects these changes is not known. Vellus hairs enlarge and are converted to terminal hairs. In addition, shedding is reduced. In a randomized, controlled, double-blind clinical trial involving 550 women 18 to 45 years of age, treatment with 2 percent minoxidil solution resulted in a higher hair count compared with placebo.10[Evidence label A, randomized controlled trial] In another study,11 50 percent of women treated with 2 percent minoxidil had at least minimal hair regrowth, and 13 percent had moderate regrowth. No significantly increased benefit has been shown for the 5 percent minoxidil solution compared with the 2 percent solution.8 The U.S. Food and Drug Administration (FDA) has labeled topically administered minoxidil for the treatment of androgenetic alopecia. A dropper is used to apply minoxidil solution directly onto dry scalp twice daily. After each use, hands should be washed thoroughly to avoid inadvertent application to other parts of the body. Minoxidil is listed as a pregnancy category C drug. It is not recommended for use in persons younger than 18 years. This drug is a weak competitive inhibitor of androgen binding to androgen receptors. It also decreases the synthesis of testosterone. For these reasons, orally administered spironolactone has been tried in the treatment of androgenetic alopecia, although questions remain about its usefulness. Spironolactone can be beneficial in women who also have hirsuitism.13 However, the FDA has not labeled this drug for the treatment of androgenetic alopecia. Immunomodulating agents used in the treatment of alopecia areata include corticosteroids, 5 percent minoxidil, and anthralin cream (Psoriatec). Topical immunotherapeutic agents (e.g., dinitrochlorobenzene, squaric acid dibutyl ester, and diphenylcyclopropenone) are also used, although management regimens for these potent agents are challenging. Dermatology consultation or referral may be necessary. All of these agents stimulate hair growth but do not prevent hair loss. Moreover, they probably do not influence the course of the disease. 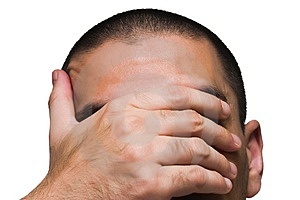 Unless alopecia areata is mild and easily masked, psychologic distress can be extreme. Therefore, most physicians feel obliged to offer some form of treatment to affected patients. The most common treatment for alopecia areata is intralesional injection of a corticosteroid, preferably tri-amcinolone acetonide (Kenalog). The recommended dose is up to 3 mL of a 5 mg per mL solution injected into the mid-dermis in multiple sites 1 cm apart.17 A 0.5-inch-long 30-gauge needle is used, and 0.1 mL is injected into each site. Hair growth usually becomes apparent in four weeks. Treatment can be repeated every four to six weeks. Local skin atrophy, the predominant side effect, can be minimized by taking care to inject into the mid-dermis, rather than into the more superficial epidermis or the subdermal fat. Topical corticosteroid therapy can be used, although it is not as effective as intralesional injections. Twice-daily application of 1 mL of an intermediate-potency corticosteroid solution or lotion to the entire scalp is routinely used to supplement corticosteroid injections.16 Regimens that combine topical corticosteroid therapy with anthralin or minoxidil also can be beneficial. 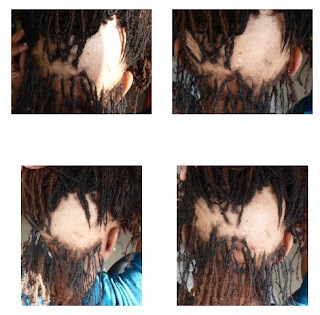 Although oral corticosteroid therapy is effective in the treatment of alopecia areata, it is seldom used because of potential adverse effects. 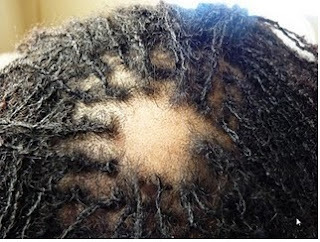 Systemic treatment may be indicated in women with progressive alopecia areata. 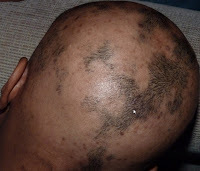 For active, extensive, or rapidly spreading alopecia areata, the recommended treatment in adults weighing more than 60 kg (132 lb) is prednisone in a dosage of 40 mg per day for seven days; the corticosteroid is then tapered slowly by 5 mg every few days for six weeks.8 For less extensive alopecia areata, prednisone is given in a dosage of 20 mg per day or every other day, followed by slow tapering in increments of 1 mg once the condition is stable. Oral prednisone therapy can be used in combination with topical or injected corticosteroid therapy, as well as with topical minoxidil therapy. Topical administration of minoxidil, particularly the 5 percent solution, has been found to be somewhat effective in the treatment of alopecia areata. In one study,8 this treatment produced acceptable results in 40 percent of patients who had lost 25 to 99 percent of their scalp hair. The FDA has not labeled topically administered minoxidil for the treatment of alopecia areata. Selection of the optimal treatment approach depends on the extent of the hair loss (Table 1). If less than 50 percent of the scalp is affected, intralesional corticosteroid injections alone or with topical corticosteroid therapy can be tried. If more than 50 percent of the scalp is involved, a multiple-agent regimen is appropriate. Treatment should be continued until remission of the condition or until residual bare patches can be covered with newly grown hair. Hence, treatment may need to be continued for months to years. Telogen effluvium is diffuse hair loss caused by any condition or situation that shifts the normal distribution of follicles in anagen to a telogen-predominant distribution.3 Women with this disorder usually note an increased number of loose hairs on their hairbrush or shower floor. Daily loss may range from 100 to 300 hairs. If hair loss is at the lower end of the range, it may be inapparent. 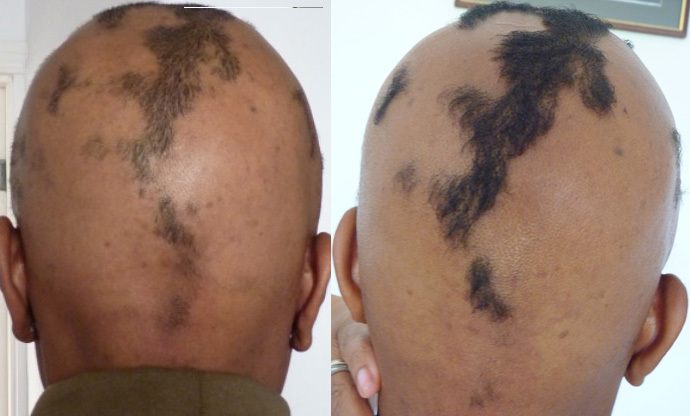 Telogen effluvium may unmask previously unrecognized androgenetic alopecia. A number of conditions are associated with telogen effluvium (Table 2).19 Although stress is the most common underlying cause, the disorder also can develop because of normal physiologic events (e.g., lengthening of telogen in the postpartum state), some medications,20 and several endocrinopathies (thyroid, pituitary, and parathyroid disease). Telogen effluvium usually begins two to four months after the causative event and lasts for several months. If telogen effluvium is suspected, a thorough history should be obtained. Adapted with permission from Sperling LC, Mezebish DS. Hair diseases. Med Clin North Am 1998;82:1160. Treatment is based on identifying and treating or correcting the underlying cause of telogen effluvium. It can be reassuring for women to understand the relationship of their hair loss to a specific event or agent, and to know that hair regrowth is probable (Figure 4). Short hairs frontally, reflecting new growth after telogen effluvium. Cicatricial alopecia with damage to the underlying scalp. If the cause of the disorder is not readily apparent, a 4-mm punch biopsy of the scalp can be helpful. Frequent findings on biopsy include lymphocytic proliferation around the follicle, destroyed follicles, a thin and atrophic epidermis, and a densely sclerotic dermis. 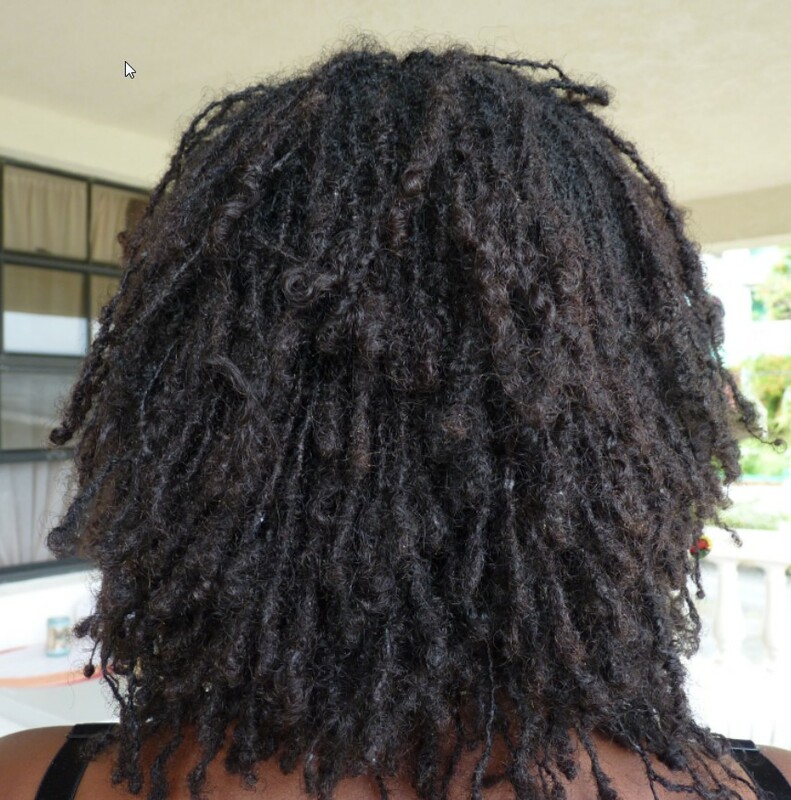 Traumatic alopecia can be caused by cosmetic practices that damage hair follicles over time.7 Cosmetic alopecia has been linked to the use of brush rollers, curling irons, hair brushes with square or angular tips, and tight braiding of the hair (Figure 6). Chemicals used repetitively on the hair also can damage follicles. Examination of the scalp shows short broken hairs, folliculitis and, frequently, scarring. Traumatic alopecia caused by tight braiding. Trichotillomania, another cause of traumatic alopecia, is a compulsive behavior involving the repeated plucking of one's hair.21 The behavior is frequently a response to a stressful situation. Women display this behavior more often than men, and children more often than adults. Children are often aware that they are plucking their hair and may be amenable to behavioral interventions. When the behavior persists into adulthood, patients may not acknowledge the behavior. C. CAROLYN THIEDKE, M.D., is assistant professor in the Department of Family Medicine at the Medical University of South Carolina, Charleston, where she attended medical school and completed a family practice residency. Before entering academic medicine, Dr. Thiedke was in private practice for 10 years. Address correspondence to C. Carolyn Thiedke, M.D., Medical University of South Carolina, Department of Family Medicine, 295 Calhoun St., P.O. Box 250192, Charleston, SC 29425 (e-mail: thiedkcc@musc.edu). Reprints are not available from the author. 1. Girman CJ, Hartmaier S, Roberts J, Bergfeld W, Waldstreicher J. Patient-perceived importance of negative effects of androgenetic alopecia in women. J Womens Health Gend Based Med. 1999;8:1091–5. 2. Cash TF, Price VH, Savin RC. Psychological effects of androgenetic alopecia on women: comparisons with balding men and with female control subjects. J Am Acad Dermatol. 1993;29:568–75. 3. Paus R, Cotsarelis G. The biology of hair follicles. N Engl J Med. 1999;341:491–7. 4. 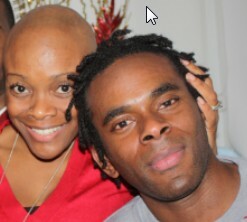 Shapiro J, Wiseman M, Liu H. Practical management of hair loss. Can Fam Physician. 2000;46:1469–77. 5. Healey PM, Jacobson EJ. Common medical diagnoses: an algorithmic approach. 3d ed. Philadelphia: Saunders, 2000:208–11. 6. Drake LA, Dinehart SM, Farmer ER, Goltz RW, Graham GF, Hordinsky MK, et al. 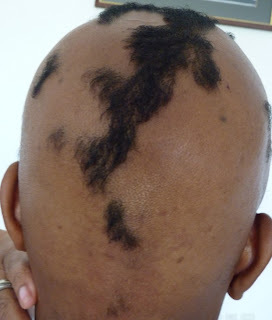 Guidelines of care for androgenetic alopecia. American Academy of Dermatology. J Am Acad Dermatol. 1996;35(3 pt 1):465–9. 7. Dawber RP, Van Neste D. Alopecia areata. In: Dawber RP. Hair and scalp disorders: common presenting signs, differential diagnosis, and treatment. Philadelphia: Lippincott, 1995:41–138. 8. Price VH. Treatment of hair loss. N Engl J Med. 1999;341:964–73. 9. Tosti A, Piraccini BM. 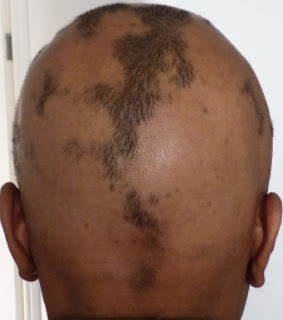 Androgenetic alopecia. Int J Dermatol. 1999;38(suppl 1):1–7. 10. Jacobs JP, Szpunar CA, Warner ML. Use of topical minoxidil therapy for androgenetic alopecia in women. Int J Dermatol. 1993;32:758–62. 11. DeVillez RL, Jacobs JP, Szpunar CA, Warner ML. Androgenetic alopecia in the female. Treatment with 2% topical minoxidil solution. Arch Dermatol. 1994;130:303–7. 12. Scheman AJ, West DP, Hordinsky MK, Osburn AH, West LE. Alternative formulation for patients with contact reactions to topical 2% and 5% minoxidil vehicle ingredients. Contact Dermatitis. 2000;42:241. 13. Bergfeld WF. Retinoids and hair growth. J Am Acad Dermatol. 1998;39(2 pt 3):S86–9. 14. Sommer M, Wilson C. Therapeutic approaches to the management of common baldness. Int J Clin Pract. 1999;53:381–5. 15. Avram MR. Hair transplantation in women. Semin Cutan Med Surg. 1999;18:172–6. 16. Bertolino AP. Alopecia areata. A clinical overview. Postgrad Med. 2000;107(7):81–5.,89–90. 17. Madani S, Shapiro J. Alopecia areata update. J Am Acad Dermatol. 2000;42:549–66. 18. Fiedler-Weiss VC, Buys CM. Evaluation of anthralin in the treatment of alopecia areata. Arch Dermatol. 1987;123:1491–3. 19. Sperling LC, Mezebish DS. Hair diseases. Med Clin North Am. 1998;82:1155–69. 20. Tosti A, Misciali C, Piraccini BM, Peluso AM, Bardazzi F. Drug-induced hair loss and hair growth. Incidence, management and avoidance. Drug Saf. 1994;10:310–7. 21. American Psychiatric Association. Diagnostic and statistical manual of mental disorders. 4th ed. Washington, D.C.: American Psychiatric Association, 1994:618–21. 22. Keuthen NJ, O'Sullivan RL, Goodchild P, Rodriguez D, Jenike MA, Baer L. Retrospective review of treatment outcome for 63 patients with trichotillomania. Am J Psychiatry. 1998;155:560–1. 23. Ninan PT, Rothbaum BO, Marsteller FA, Knight BT, Eccard MB. A placebo-controlled trial of cognitive-behavioral therapy and clomipramine in trichotillomania. J Clin Psychiatry. 2000;61:47–50. Members of various family practice departments develop articles for “Problem-Oriented Diagnosis.” This article is one in a series coordinated by the Department of Family Medicine at the Medical University of South Carolina, Charleston. Guest editor of the series is William J. Hueston, M.D.